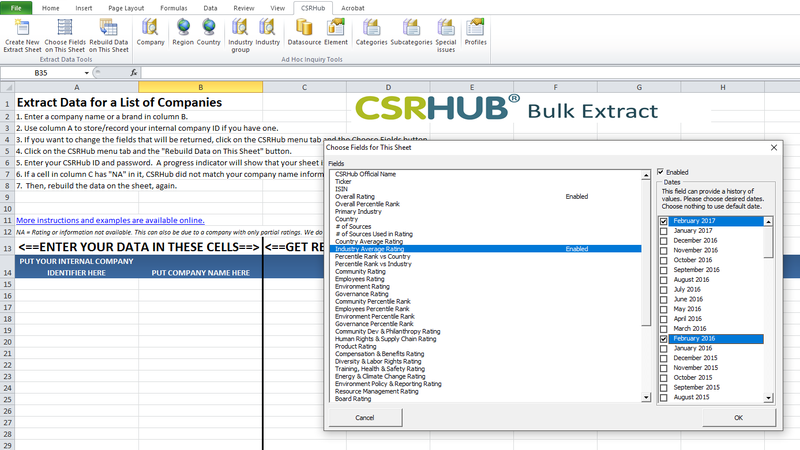 The team at CSRHub has just launched the new Bulk Extract Dashboard tool – a powerful Macro-enabled Excel template for quickly comparing large numbers of companies and CSR data. without having to know functions or formulas (we have automated this task). For more information or to see CSRHub in action, please contact us.